Your business may be one of many businesses making common SEO mistakes today. Google and other major search engine’s are on a mission to give relevance to their search queries, getting these mistakes under control will help boost your SEO rankings. Below we will cover the changes search engines have recently made that can have a very large impact on a sites rankings in SERP's (search engine results pages). These changes are what keeps search engine marketing companies like ours scrathing our heads and wondering what's next? In the same context as more companies get online and marketing is less paper based and more digital we see the concerns search engines have in giving users quality content. 1. Poor or Duplicate Content - With it's recent update Panda Google is pressuring companies to provide quality and original content. It was easy not too long ago to just copy content that was similar to yours and paste it in your information center change some links and wallah you have seo marketable content. Not so much anymore you have to be original and you have to provide quality information. 2. Targeting the Wrong Keywords - This may seem like a very basic rule of thumb making su. It may sound good to you but if the people looking for your products and services don't use them they are a waste. Google keyword tool is free and helps you to define what searchers are looking for. 4. Using the Same Title on Multiple Pages - Repeating the same title tags on multiple pages is a lazy practice and shows a lack of creativity on the part of web designers. Web site designers are typically not very good at seo. They are graphics artists and designers they make pretty websites. 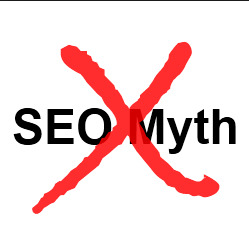 SEO experts are more like mathematicians. You need to utilize each pages titles to get to searchers seeking relevant content. 5. Not utilizing Alt tags when possible - Alt tags can be used in a variety of ways the typical alt tags are image related. Images must utilize these tags to give search engine spiders an indication of relevancy to your content. You should use hyphens in between keywords and keep the tags relevant to your content. For instance if you have a picture of a website about trees you should tag it Pinetree - Forest - Redwood - etc. There is much to learn regarding how to utilize seo best practices when promoting your business to search engines and obtaining quality page rankings with major search engines. If you are interested in hiring a professional business marketing company contact Results Business Marketing, with many years of experience we can get you Results. 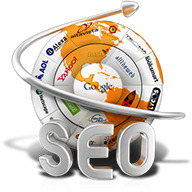 SEO or Search Engine Optimization as it is known is an ever changing science. However there are a few philosophies that are consistent nad although they too may change they are still as relevant today as they were 5-7 years ago. For great seo results it is widely known, that content is king, so be sure to have good, well-written, and unique content that will focus on your primary keyword or keyword phrase. If content is king, then links are queen. Build a network of quality backlinks. Remember, if there is no good, logical reason for a site to link to you, you don’t want the link. Be sure you have a unique, keyword focused Title tag on every page of your site. And, if you MUST have the name of your company in it, put it at the end. Unless you are a household name, your business name will probably get few searches. Fresh content can help improve your rankings. Add new, useful content to your pages on a regular basis. Content freshness adds relevancy to your site in the eyes of the search engines. Don’t design your web site without considering SEO. Make sure your web designer understands your expectations for organic SEO. Doing a retrofit on your shiny new Flash-based site after it is built won’t cut it. Spiders can crawl text, not Flash or images. When link building, think quality, not quantity. One single, good, authoritative link can do a lot more for you than a dozen poor quality links, which can actually hurt you. Matt Cutts said Google has tried excluding links from the algorithm and the results were "much worse." So while I don't think it will stay forever this way, we have years before it potentially could go away, according to Cutts. Social is the New Link Building No. Can you get links from social, yes, once they leave the walled garden, but not from sharing itself (Google+ excluded here). The reason is simple. There is a negative history with Facebook and Google and Google and Twitter. Neither company is willing to give Google consistent access to their fire hose, so Google simply can't factor them into the algorithm.